Thank you all for a terrific 2018 season at Skippy's Marina and Surf and Sand Resort in South Yarmouth MA. We loved the new locations and had a great summer! We are closed for 2018 but will return in June 2019 for Parasail, Jet Ski rentals and Banana Boat Rides for our 20th season of operation on Cape Cod! During the off season you can reach us at capeparasail@gmail.com. longest operating company in New England! Lowest Prices + Newest Equipment = Best Deal on the Cape! No Up Charge for flying higher! 1000 feet every ride same low price! Biggest Parachute for greater heights and smoother flights. Gold Coast's Cape Cod Parasail and Jet Ski has been offering top of the line water sports on Cape Cod in Massachusetts for over 19 years. We offer parasailing, WaveRunner® rentals, Banana Boat rides, and more! 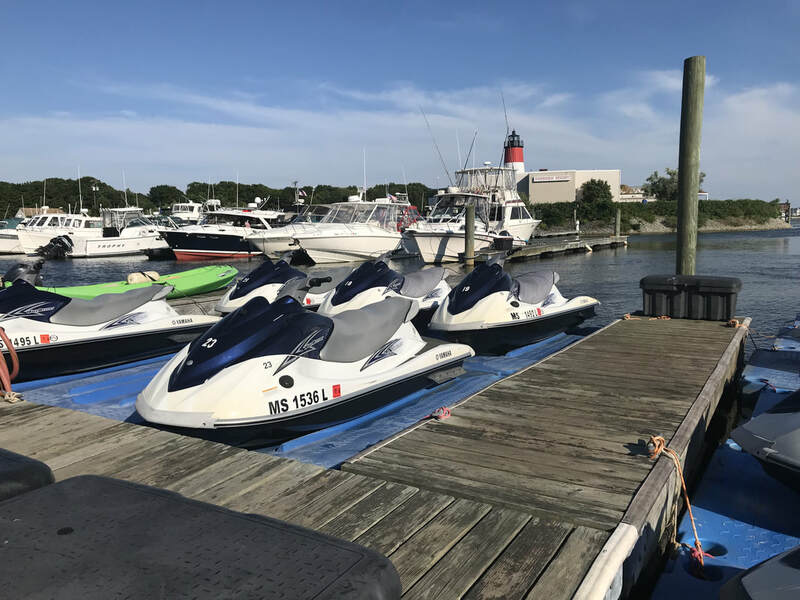 We have the lowest prices for watersports on the Cape in combination with the newest wave runners and safest equipment. Match that with our extensive experience, we are the longest operating company on Cape Cod with the Captain who has flown more people than anyone else in Massachusetts. 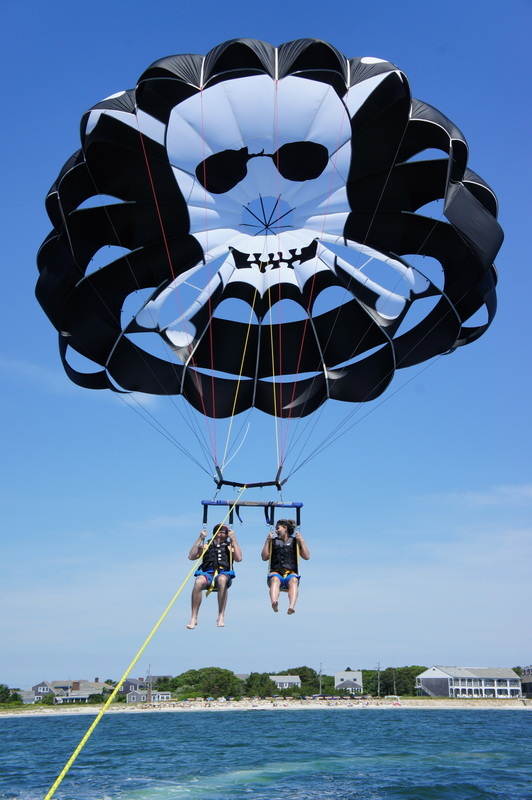 • Our Parasail Captains are all US Coast Guard licensed and have official Parasail training. Don't fly without it! No gimmicks, no tricky advertising, no crazy names for different rides. Just the highest, safest, best view, and most fun you can have on Cape Cod for your vacation. • You only have to arrive 20 minutes before your reservation. No shuttle van and long wait before the fun! • Our Yamaha WaveRunners(r) are brand new 4-stroke 110 hp 3-seaters. focus on the water sports, not the north side ttteeth chatter! We are open from late June through late August. Call 508-398-SAIL (7245) or contact us here. Fan us on Facebook for breaking updates & specials! We will be giving away free t-shirts and gift certificates so join today!